The initiation of this national event stems from our programming and management capability to generate an ESSENTIAL cricketing activity for aproximately 44,500 club cricket players across the country. NO other cricketing activity in Pakistan can have such great outreach for only Rs. 1,450/- rupees per player per year, and dovetail into the existing system for verifibale and predicable results within six months! At present, all our cricketing activity/reach revolves around approximately 6,000 players of all age groups, with a very low refresh rate. It is for this reason that we keep investing in existing players without tapping into the enormous resources that are available on tap. Club cricket is the backbone of all cricket activities in Pakistan. There are hardly five regions across Pakistan that hold regluar club tournaments, that dovetail into our cricketing system. Due to lack or organized cricket in clubs, selection in inter-district tournaments and other tournaments become an exercise that is NOT performance based, since no performance data is available for these new players. Furthermore, unlike other boards, PCB also does not have any data on these players. In most instances, existing players keep getting selected, and the system suffers from stagnation. 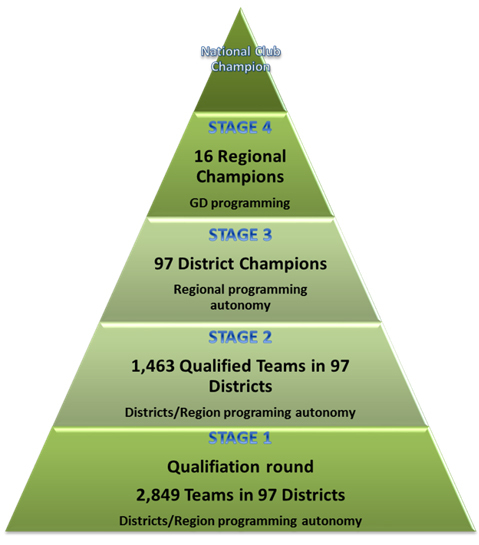 2849 Club teams will participate in 97 districts across Pakistan. Hence at the end of the tournament there would be 97 district champions and thus 16 regional champions. 2 pools comprising of 8 teams each will be formed and a national champion will be emerged after the final which will be televised live on TV. District/Regional (inter district tournament) selection process should be based on performance. However, no performance benchmark currently exists for selection of new players. It is recommended that current selection procedures be modified, so that all inter district selection in the future (other than current first class cricketers) is based on the quantifiable outcome/performance of this club cricket. If this proposal is approved, a list of top performers shall be made available to each selector by GD Department in consultation with Club Tournament committee, and the PCB management should ideally instruct selectors to select from the list of these top performers. Each district will also be given a list of top batsmen, bowlers and wicket keepers to qualify for selection. Rapid, statistically verifiable results (in less than 6 months). Emerging cricketers will be motivated to improve their skills and fitness standards. Raw talent from far flung areas will also be unearthed within six months. The tournament can be associated with club scrutiny if top management so desires. This tournament will lead to far better and more transparent district selection via this tournament. Enhancing the pool of players for the selection of teams at the regional level. Direct access to the pool of 45,000 cricketers registered in Clubs across Pakistan. At present, we have approximately 3500 players on tap nationally. This figure shall rise by over 700 percent in a matter of month at a cost of only a fraction of what we currently spend on district and domestic tournaments. 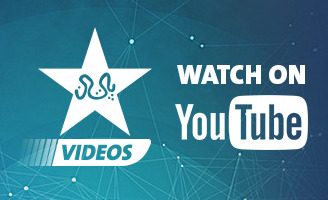 A complete and comprehensive database of ALL players will be available on website. This tournament will, in essence, create a paradigm shift in how PCB conducts all its domestic cricket activities.